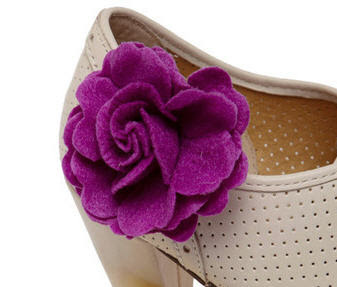 Lately I've noticed a lot of fashion retailers selling shoe clips - have you heard of them? 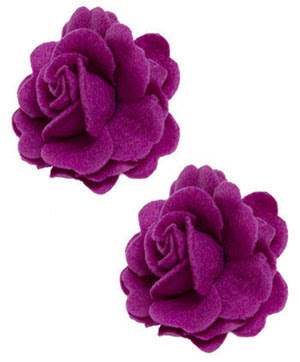 They are decorative items like flowers, bows, rhinestones, etc. that you can easily clip onto a pair of shoes - giving it some extra flair or interest. I recently stumbled across these "posie-cure shoe clips" from ModCloth.com. How cute are these? 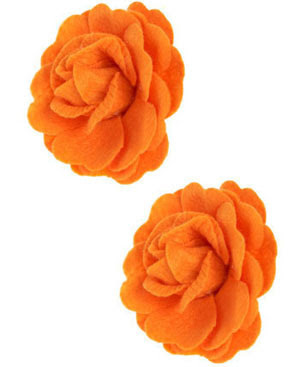 An orange set would look great, one on each shoe, clipped onto a pair of canvas flats paired with your gameday dress. 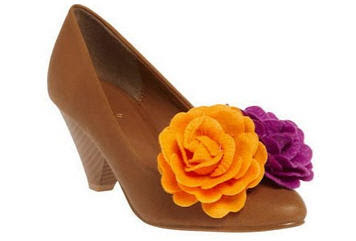 Or try this example courtesy of ModCloth - pairing orange AND purple clips on the same shoe. What do you think? Would you wear shoe clips with your gameday outfit?